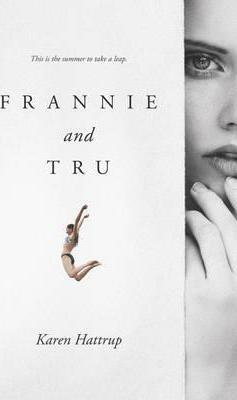 Perfect for fans of Prep and The Perks of Being a Wallflower, Frannie and Tru is a dazzling YA debut about a transformative summer in the life of a girl whose idol is not what he seems. Frannie has always idolized her cousin Tru. At seventeen, Tru is charismatic, rich, charming-everything fifteen-year-old Frannie wants to be, and everything she's not. So when Frannie overhears her parents saying that after a bad coming-out experience Tru will be staying with them in Baltimore for the summer, Frannie is excited and desperate to impress him. But as Frannie gets swept up in Tru's worldly way of life, she starts to worry that it may all be a mask Tru wears to hide a dark secret. And if Tru isn't the person Frannie thought he was, what does that mean for the new life she has built with him? Confronting issues of race, class, and sexuality, Karen Hattrup weaves a powerful coming-of-age story that's at once timeless and immediate, sharply observed, and recognizable to anyone who has ever loved the idea of a person more than the reality. Karen Hattrup is a former newspaper reporter who studied writing at Johns Hopkins University. Frannie and Tru was her debut novel, and Our Year in Love and Parties is her second. She lives with her family near Baltimore.